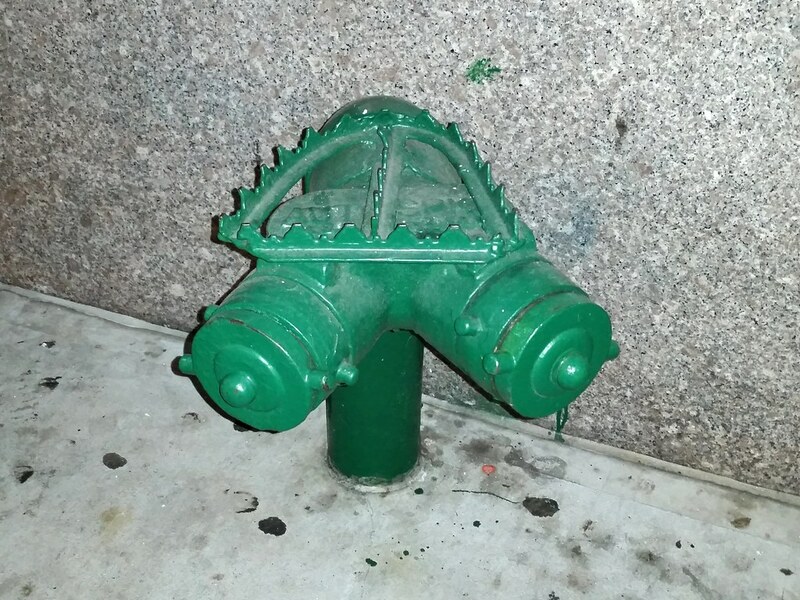 This stegosaurus of a standpipe connection is just one of the many tushie terrorizers conspiring to make the city's streets inhospitable to the weary keisters of pooped-out pedestrians. 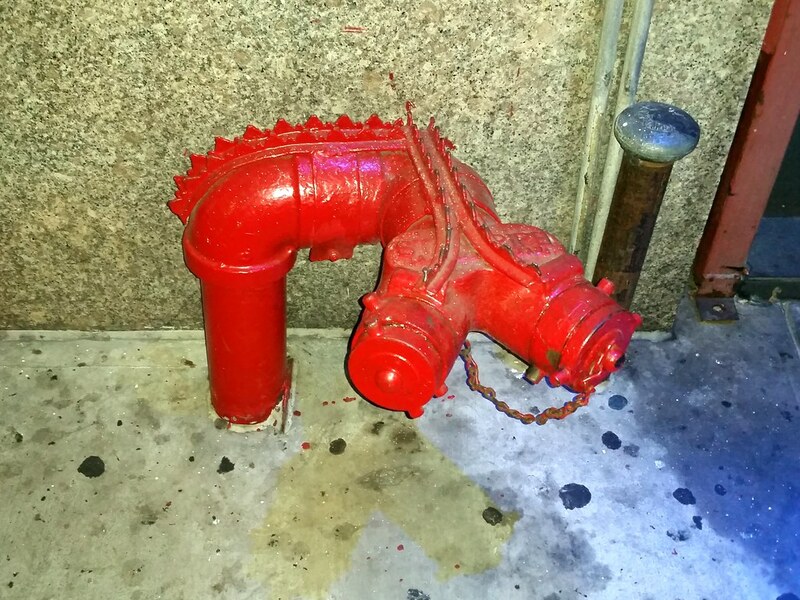 The sprinkler connection outside this building, pictured below, is equally unwelcoming. But don't despair. While this callous indifference to the suffering of others may be on the rise, there are still plenty of other Siamese connections that continue to welcome the tired, the poor, and the huddled asses of the world with open arms (a.k.a. spikeless sitting surfaces). Just around the corner, in fact, I found one providing refuge for run-down rumps in three different Street View photos — a sanctuary sitty, if you will.